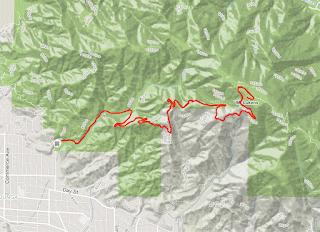 From the intersection of Los Feliz Blvd and Fern Dell Dr the run is 5.7 miles, 1200 feet of gain. There is an obvious paved path at the intersection. 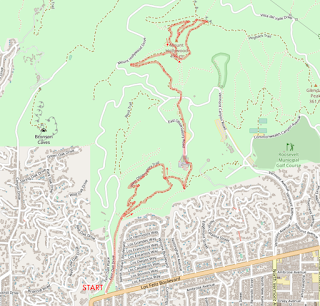 One can park along Fern Dell Dr. 50 Trail Runs in Southern California recommends driving into Griffith Park and using the parking lot. The round-trip distance from the parking lot is 5.3 miles. The run is an out-and-back with variations. Most of the way is on a wide dirt path. 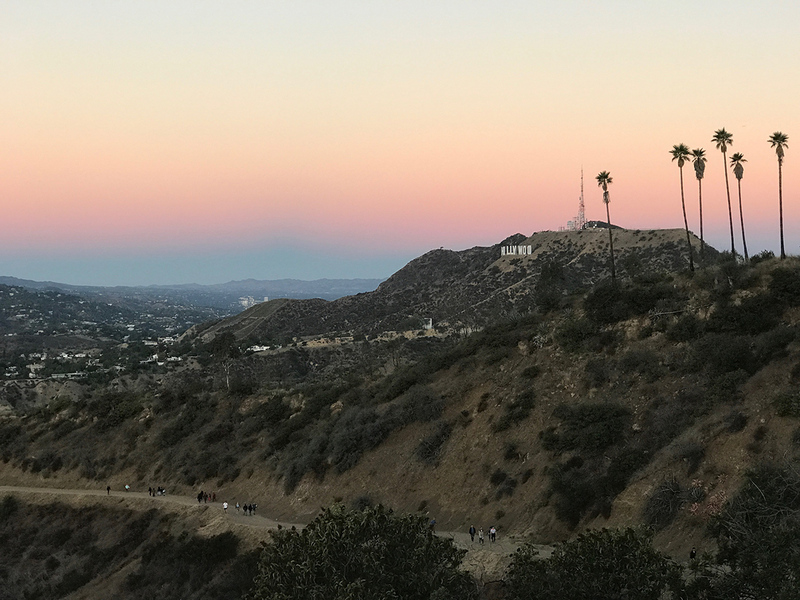 There are restrooms and water fountains where the trail pulls away from Fern Dell Dr and again at the Griffith Observatory. 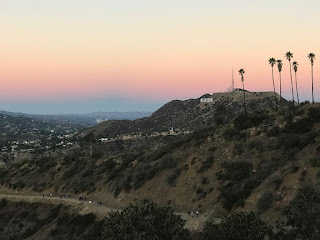 The trail summits Mt Hollywood and offers a good view of Mt Lee and the Hollywood Sign. It is usually crowded. A 6.0 mile out-and-back run with 900 feet of elevation gain. Pay to park in Tapia Park or park for free in the small dirt lot at the intersection of Las Virgenes Rd and Piuma Rd. 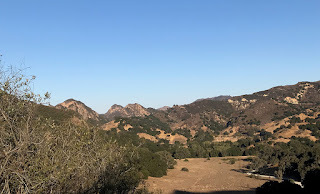 Malibu Creek is worth seeing. If you visit, ask yourself whether the Goat Buttes seem familiar. The run is worthwhile for the sights and the convenience: there are several water fountains along the way. I can't say that about any other trail run. As described in 50 Trails Runs in Southern California the run is mostly possible, though I wasn't able to find the trailhead described by the book—perhaps it is no longer there. 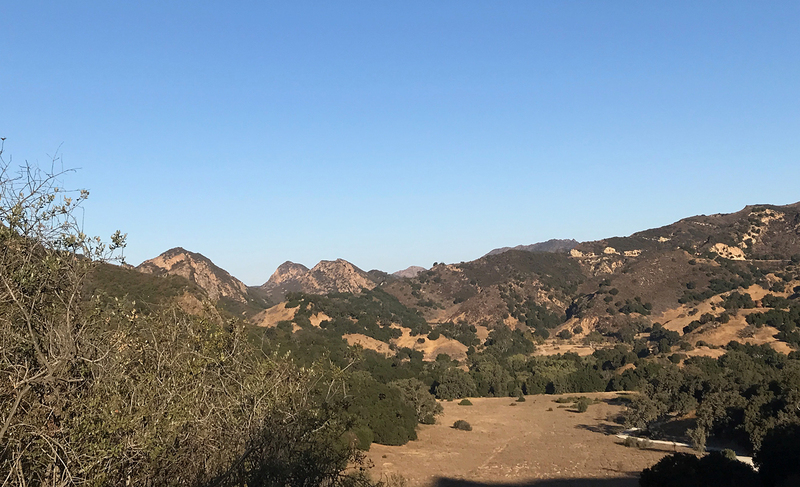 I recommend taking a left when entering the park and finding the dirt road which runs parallel to Malibu Creek. The dirt road is called Dorothy Dr on some maps. 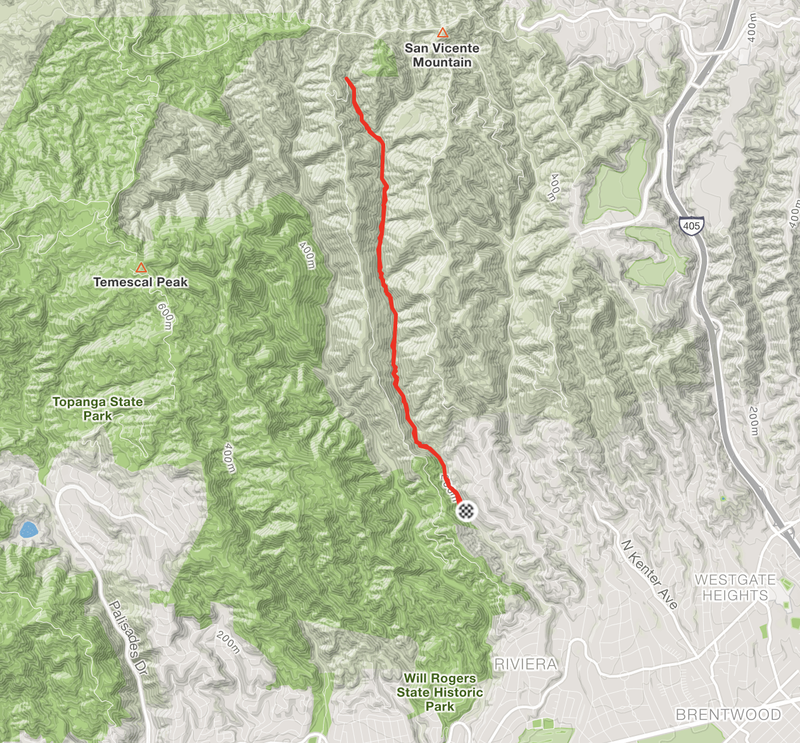 The book would have us take another trail I could not find between Dorothy Dr and Malibu Creek. I think Dorothy Dr was closed to vehicles at some point after which the trail became redundant and fell into disuse. 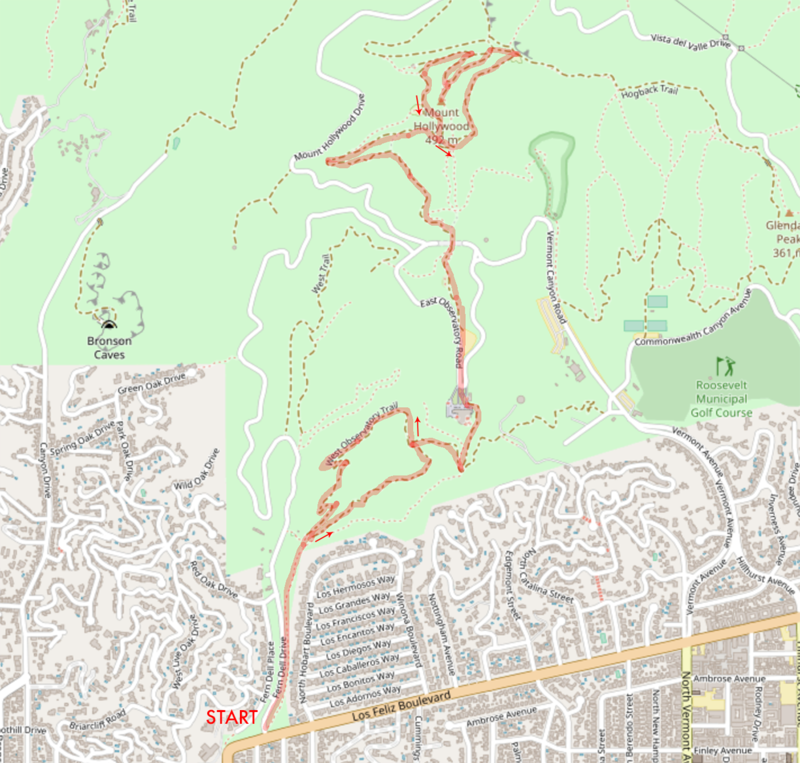 Tapia Spur Trail takes the runner through a notch in the hills and into Malibu Creek Park proper. Go right where the trail ends at a gravel road, and go left where the gravel meets pavement. Follow the pavement across Stokes Creek and take a left on a dirt path. 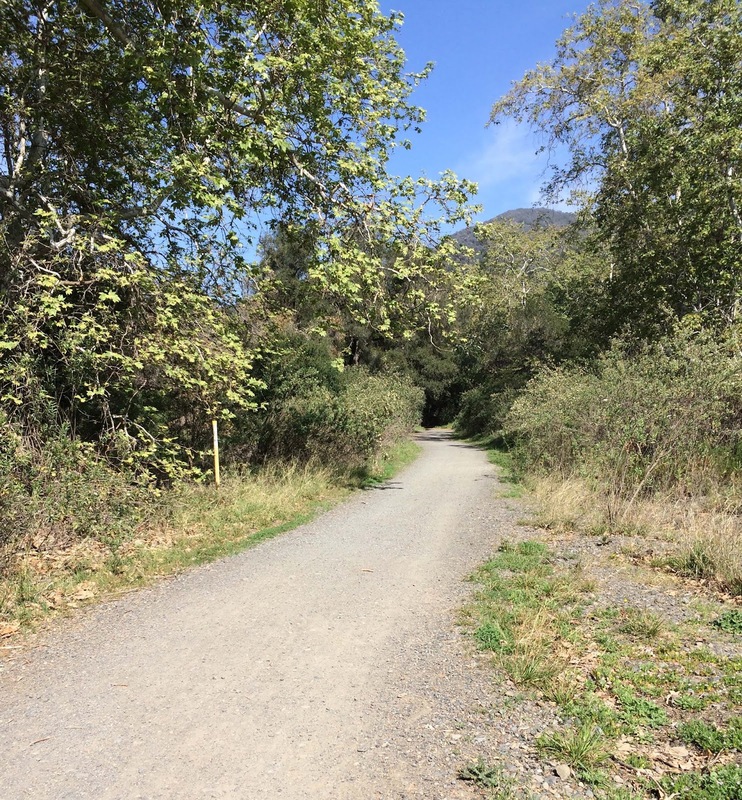 Turning left before Stokes Creek puts you on an interpretive trail which leads to a dead end. Turning left at the correct place leads to a bridge over Las Virgenes Creek. 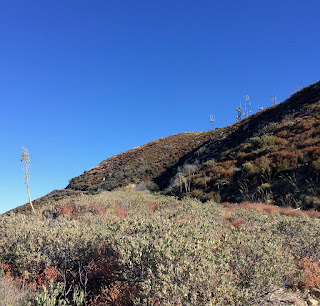 The turn-around point is somewhat arbitrarily chosen as the Lookout Trailhead. 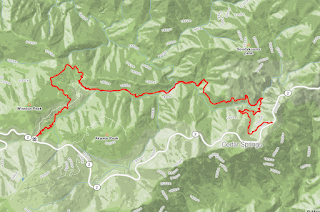 The runner could add mileage by taking Lookout Trail or by continuing on Crag Fire Rd. On the return trip the book recommends taking High Rd instead of crossing the bridge at Century Ranch. 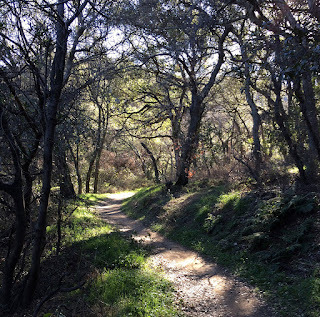 It also recommends taking left on a short trail which connects with the Grassland Trail. Take a right on the Grassland Trail. 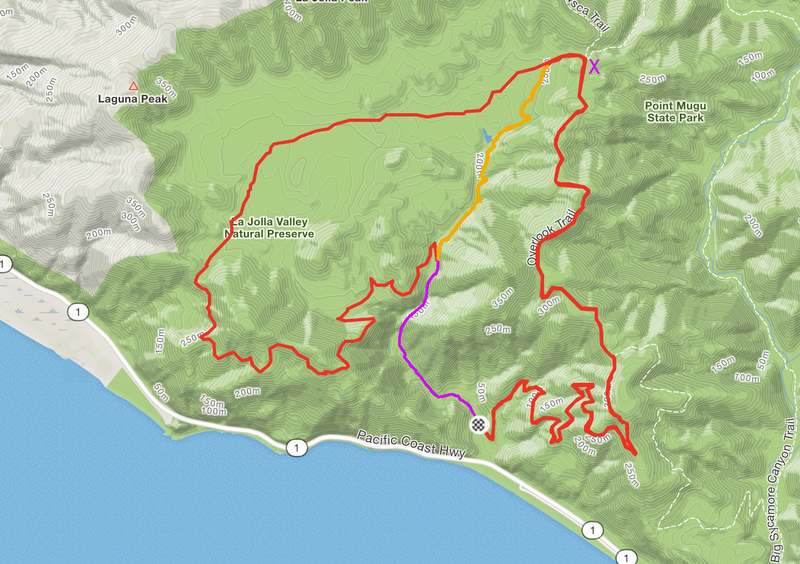 An 8.2 mile out-and-back run with 900 ft of elevation gain. There is sometimes parking on Queensferry Rd. If not park on Bayliss Rd. 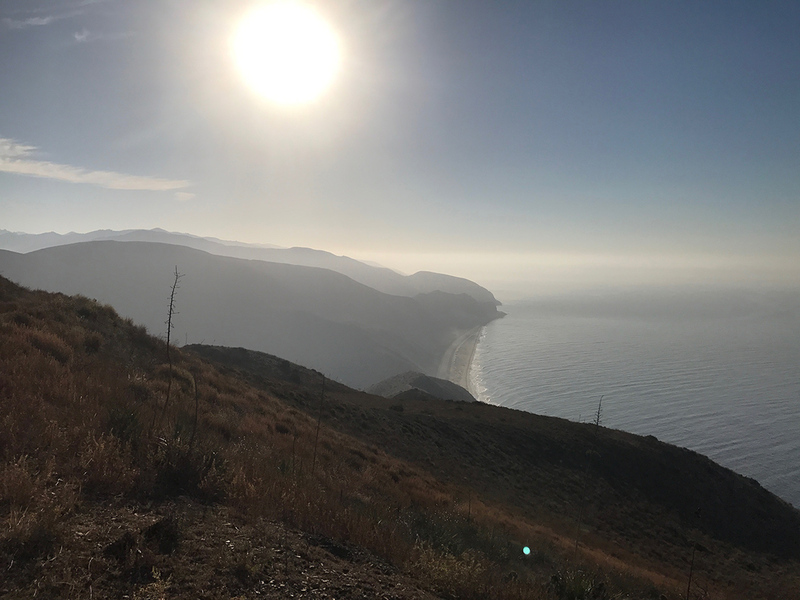 Most runs in the Santa Monicas are too hot in the summer. 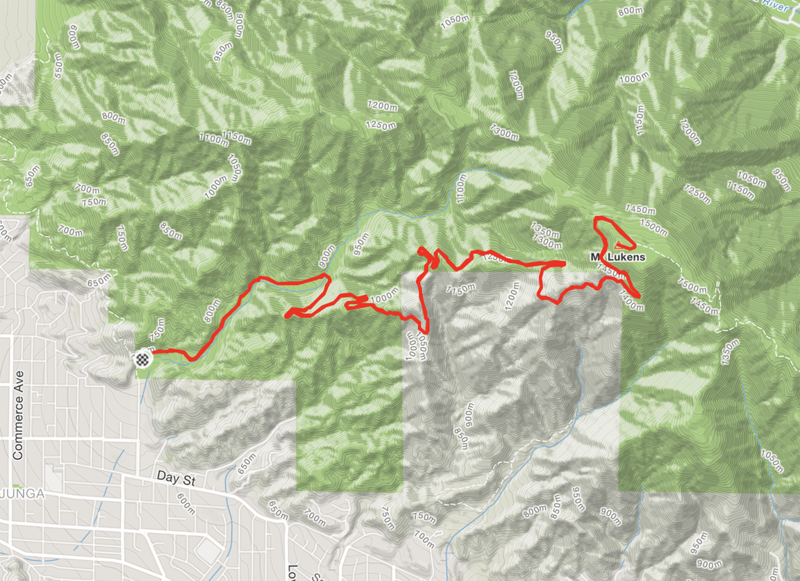 But Sullivan Canyon is runnable year round if you get an early start. The suns rays don't reach the floor of the canyon till 9 am. It's hard to get lost on this one. 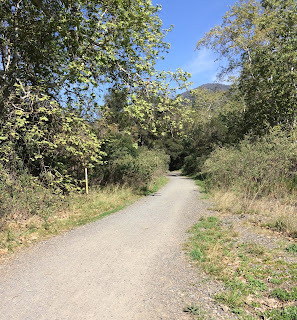 The turn-around point at a concrete culvert is arbitrary—one could keep going to the left to connect with Sullivan Fire Road. From there one could go right to connect with Dirt Mulholland. Most people start the run at the gate, but the Strava segment starts further in at the bottom of the paved road. The canyon is owned by the SoCalGas and the gravel road follows two buried natural gas pipelines. I'm not sure I like running on the the articulated concrete block mats used to protect the pipes. The creek, which is dry in the summer, crosses the road in several places. After a wet winter it carves out deep slots. It changes the nature of the run—in a good way if you like leaping. If you don't the gas company will smooth out the road sooner or later. The area is sometimes closed for road or pipe maintenance and the closures have lasted as long as six weeks. The local mountain bikers are perhaps the best source of information about the current status. 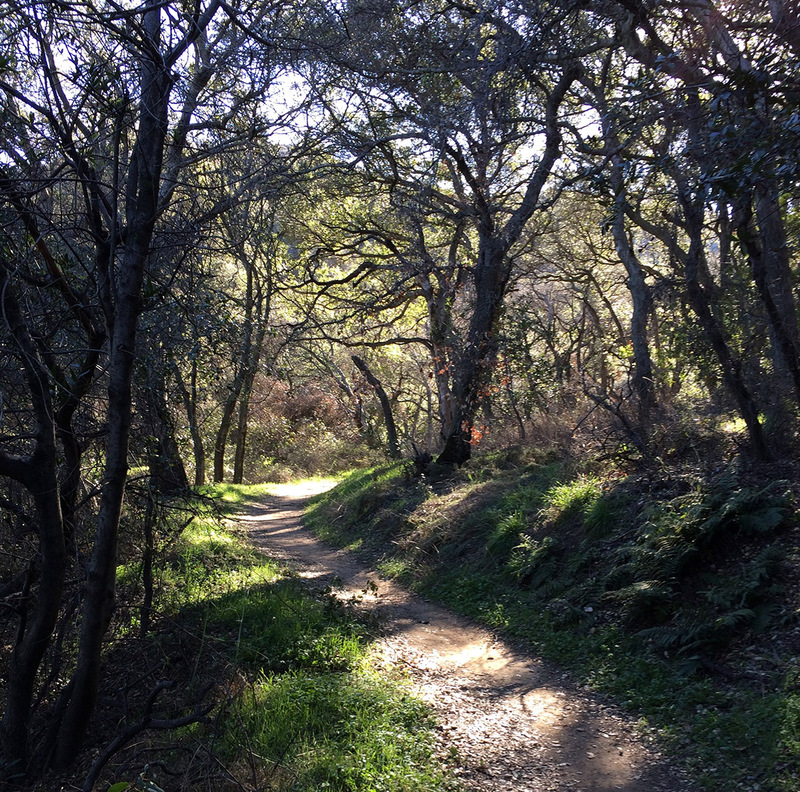 50 Trail Runs in Southern California assigns Cooper Canyon a difficulty of strenuous. I agree with the assessment. 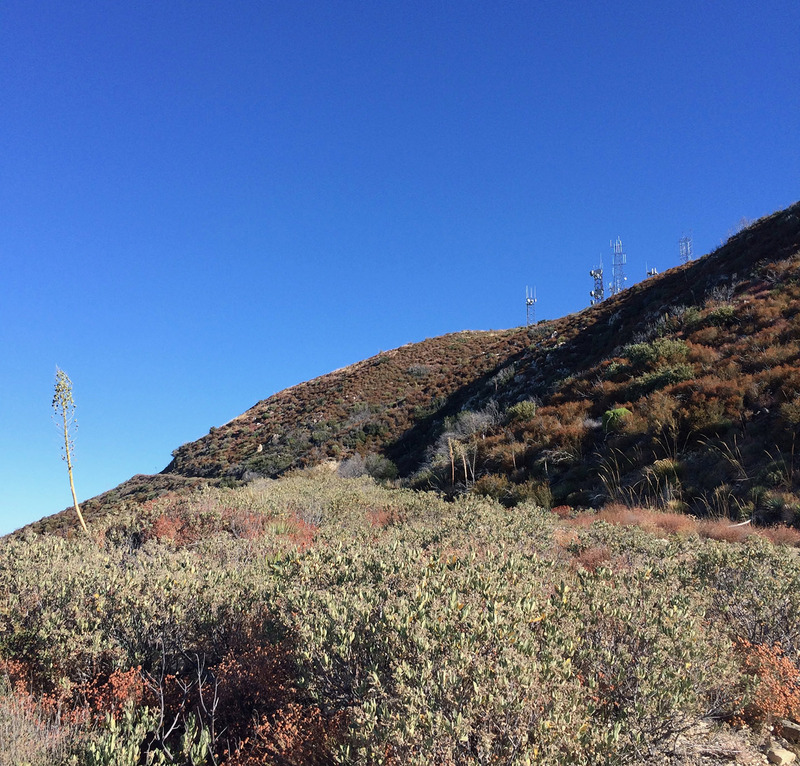 It is an out-and-back which starts on the Angeles Crest Hwy at Cloudburst Summit (elev. 7000', Google Maps) and drops into Cooper Canyon, descending to a low point of 5600', before climbing back up to the Angeles Crest Hwy at Eagles Roost Picnic Area. The challenge of running this course is saving enough for the last climb to Cloudburst Summit on the way back. [50trsc] gives round trip distance of 13.6 miles, but when I ran the course today Strava gave a round trip distance of 15.4 miles. 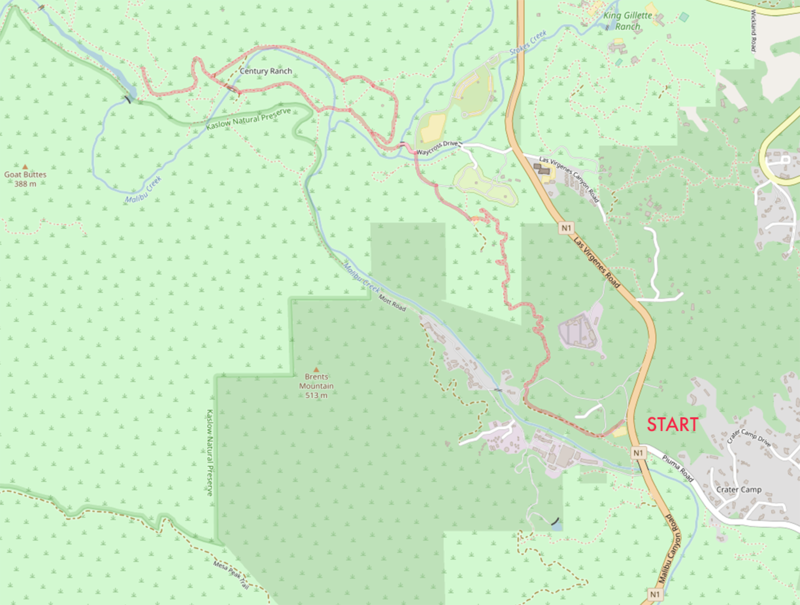 Comparing my map with the one in [50trsc], it looks as if the trail has been re-routed in two places. 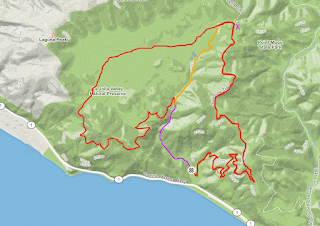 The new segments add about 800 ft of elevation gain to the round trip. Oh, and part of the trail is closed to human beings. I discovered the closure by reading a sign at Eagles Roost. I didn't see any signs warning travelers approaching from the west they are entering forbidden territory, but the closure starts at the 2nd junction with the Burkhart trail. The closed portion of the trail has fallen trees and spots on steep slopes where it has eroded away. The Forest Service website with its broken link is unhelpful, but the trail was closed no later than 2011. The closure is a drastic move by the Forest Service. 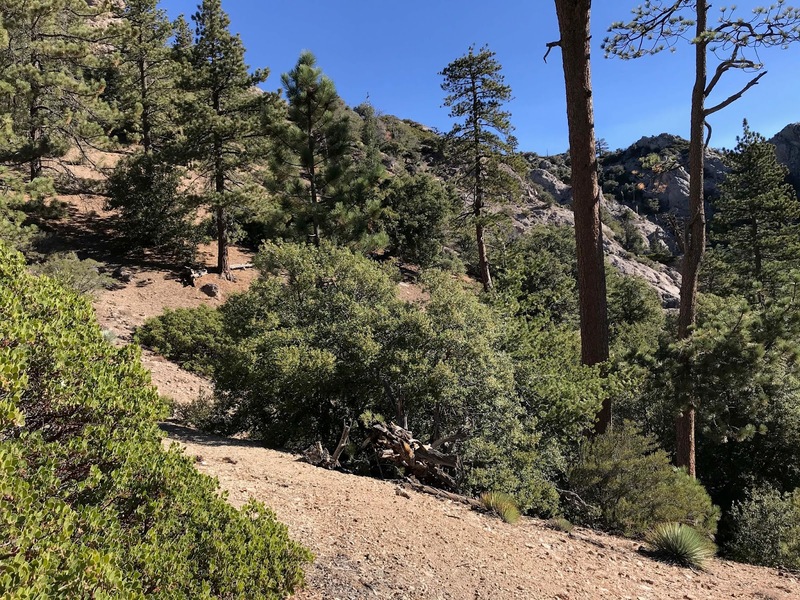 The closed trail is part of the Silver Moccasin Trail which boy scouts have been using to cross the San Gabriels since 1942. It is also part of the Pacific Crest Trail. The PCTA established an alternate route which is about 16 miles longer. 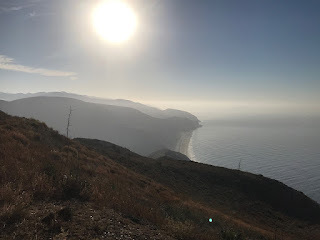 The closed trail is also part of the traditional route of the Angeles Crest 100 Mile Endurance Run, which was re-routed to the tarmac of the Angeles Crest Hwy. The closure is for the same reason rock climbers were denied access to nearby Mt Williamson in 2005: to protect the mountain yellow-legged frog. The species was once abundant in the mountains. It is natural to ask why it has declined. Vance Vredenburg of UC Berkeley suggests the biggest factor is the introduction of non-native trout which eat the tadpoles. The trout hypothesis would explain why the frogs are still found in Cooper Canyon, since Little Rock Creek is too small this close to its source to support trout. It is an open question whether hikers and campers have an impact on the frog population. If it does, then we would expect an increase in the frog population since 2011. Is anyone counting the frogs? If you are, let me know!